The authors of two recent novels which directly confront the institution and legacy of the slave trade discuss their work. Yaa Gyasi’s debut Homegoing follows the generations of a family separated when one half-sister is sold into slavery, and one is married to a British slaver in Ghana. 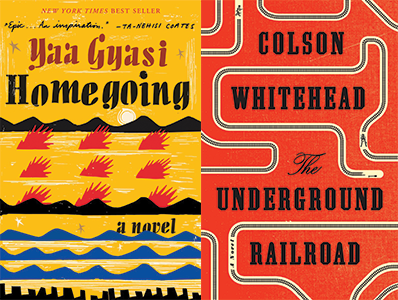 Colson Whitehead’s The Underground Railroad reimagines the freedom trail as a literal subterranean train, as Cora escapes from a Georgia plantation and embarks on a journey toward freedom in the antebellum American South. Moderated by Rukaiyah Adams.